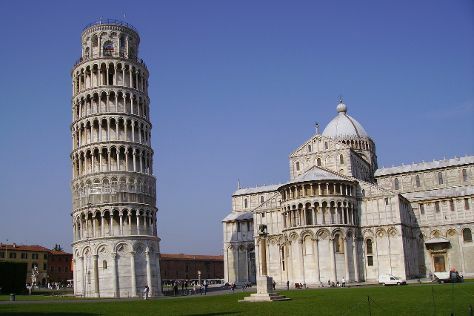 You'll find plenty of places to visit near Cinque Terre: Lucca (Guinigi Tower, Piazza Anfiteatro, & more), Footpath Monterosso - Vernazza (in Monterosso al Mare) and Pisa (Piazza dei Miracoli, Duomo Pisa, & more). Spend the 29th (Fri) exploring nature at Parco Nazionale Cinque Terre. And it doesn't end there: trek along Cinque Terre Trails, learn about winemaking at Terra di Bargòn, wander the streets of Portovenere, and take in the architecture and atmosphere at Santa Margherita di Antiochia Church. For reviews, maps, photos, and more tourist information, refer to the Cinque Terre trip planner. If you are flying in from United States, the closest major airports are Genoa Cristoforo Colombo Airport, Pisa International Airport and Peretola Airport. In September, daytime highs in Cinque Terre are 77°F, while nighttime lows are 63°F. Cap off your sightseeing on the 30th (Sat) early enough to travel back home.